THOUSANDS flocked to People’s Park in Grimsby for the inaugural Care Plus Community Fun Day. Organised by North East Lincolnshire Care Plus Group, the event featured a total of 96 stalls showcasing the range of health and care services available in the borough. 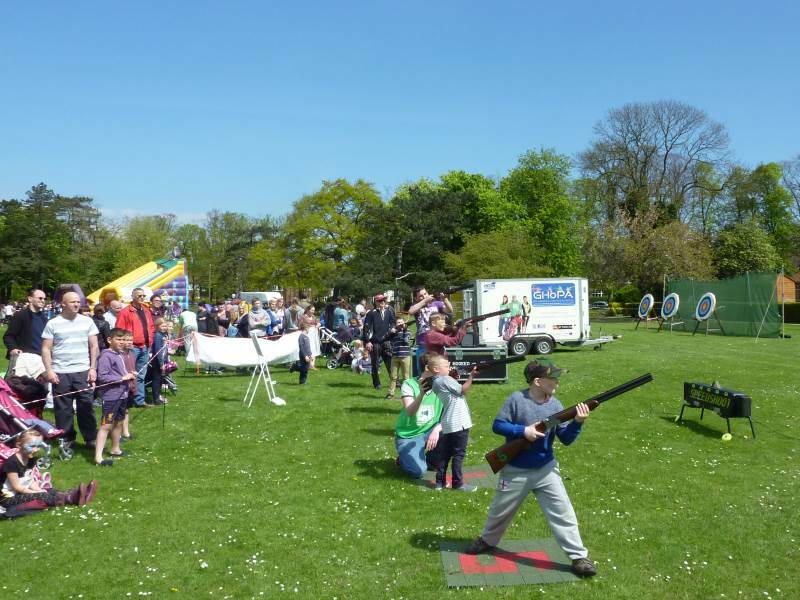 There was also plenty of fun and entertainment for the family to enjoy, donkey rides, laser clay pigeon shooting, a bouncy castle, craft fair, archery, extreme sports and live music. Sylvia Leary, chairman of the Staff Voice Committee at the Care Plus Group, said: “It is the first fun day we have held and we never anticipated it would be so popular. It’s really to showcase health and social care services in North East Lincolnshire and let people know what is available. Shelagh Fisher, 50, a Walkwell leader, and her mum Joan Pike, 89, enjoyed the day.